You can access a wide selection of reference and research resources online, cataloged by subject. If you’re not sure where to start, try Gale PowerSearch. This allows you to search multiple databases from one search box. Biography in Context contains biographical articles from select periodicals and reference sources published by Gale. Funds provided by the Massachusetts Board of Library Commissioners. The world’s most current, comprehensive, and reliable online literature resource. Uniquely relevant to today’s curriculum, Literature Resource Center’s critical, biographical, and contextual materials support interdisciplinary approaches, information literacy, and the development of critical thinking skills. Funds provided by the Massachusetts Board of Library Commissioners. The Premier Job Search, Reference and Mailing List Database. Small Businesses: Find sales leads and mailing lists to grow their business. Entrepreneurs: Find similar businesses along with competitors. Students: Research businesses by industry or segment and company size. Government Agencies: Employment statistics, mapping, and traffic modeling. Fundraising: Find income and home value in any neighborhood. Funds provided by the Nevins Library. Provides coverage of all business disciplines, including accounting, economics, finance, marketing, management and strategy, as well as business theory and practice. Users will understand the activities of companies and industries worldwide through business and trade publications, complemented by a selection of international, U.S., and regional news publications. Funds provided by the Massachusetts Board of Library Commissioners. This site, provided by the Massachusetts Trial Court Law Libraries, provides legal forms for a variety of matters. There are also links to other sites that contain forms. 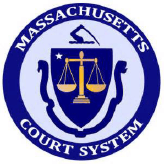 Search Massachusetts laws by subject as well as laws from other states and a variety of case laws. Use this site to contact a law librarian regarding any legal questions. This site, provided by the Massachusetts Trial Court Law Libraries, provides general laws by subject. Comprehensive and up-to-date financial information on stocks, mutual funds and exchange-traded funds. Use the “Help & Education” tab to access the User’s Guide and investor education resources. Funds provided by the Nevins Library. Small Business Resource Center is a comprehensive database covering all aspects of starting and operating a business. Funds provided by the Massachusetts Board of Library Commissioners. The online resume builder that lets you create professional-quality resumes in three quick and simple steps. Funds provided by the Nevins Library. The Massachusetts Department of Career Services (DCS) is pleased to offer the Massachusetts Career Information System (MassCIS). Free on-line to all Massachusetts residents, MassCIS is designed to provide occupational and educational information to help people make better-informed career and school choices. JobQuest is a FREE online service for finding jobs in Massachusetts. The Federal government’s official job list. Find employment search tools, an information center, veteran information, and forms. Finding the right career can be a daunting and high stakes task. Finding an appropriate institution of learning, job searching, and maintaining a career are all topics covered by this collection. This resource provides current and applicable content for all vocational milestones. Provides ratings, buying guides, product reviews, and consumer information from the experts at Consumer Reports magazine and Consumers Union. Provided by the Nevins Memorial Library. A collection of more than 1,100 periodicals and 200 reports (most full-text) focusing on all levels of education, educational administration, and policy. Practice tests, exercises, skill-building courses, and information for learners from elementary, college prep, job searching and, beyond. Britannica Online Public Library Edition contains four complete encyclopedias: the Encyclopedia Britannica, Compton’s by Britannica, Britannica Elementary Encyclopedia, and Britannica Concise Encyclopedia. Each covers the research needs of a different age group. The Public Library Edition contains full-text magazine articles, websites that have been reviewed and verified by Britannica editors, a homework help section for students, a world atlas, Merriam-Webster dictionaries and thesauri for children and adults, a Spanish-English dictionary, video and audio content, daily content updates, and more. The Public Library Edition: Kids contains full-text magazine articles, websites that have been reviewed and verified by Britannica editors, a homework help section, a world atlas, Merriam-Webster dictionaries and thesauri for children, a Spanish-English dictionary, video and audio content, daily content updates, and more. Funds provided by the Massachusetts Board of Library Commissioners. Britannica Online School Edition gives teachers and students instant access to four complete encyclopedias and other resources that ensure consistency with classroom topics and age-appropriate language. Focused on elementary, middle and high school levels, plus read-aloud and translation for over 50 languages. Esta base de datos ofrece recursos de referencia en español para estudiantes de 6-12 años. Hay docenas de actividades de aprendizaje interactivo que se pueden hacer en clase o en casa que cubren temas como ciencias naturales, estudios sociales y otras áreas de estudio. This database provides reference resources in Spanish for students aged 6-12. There are dozens of interactive learning activities that can be done in class or at home that cover topics such as natural sciences, social studies and other areas of study. Funds provided by the Massachusetts Board of Library Commissioners. The Culinary Arts Collection includes 150 of the major cooking and nutrition magazines from 1980 to present. Coverage includes thousands of searchable recipes, restaurant reviews, and industry information. A collection of more than 80 journals focused on key issues in gardening, landscaping, and other areas of horticulture. Browse over 20 subject specific reference sources from Delmar Cengage Learning. This collection provides information for gardening enthusiasts and professionals alike. Research issues in international and cultural studies, or use it to prepare for a trip abroad. The World Awaits. Funds provided by the Nevins Library. With current and relevant content from industry journals, travel guides and magazines, this collection provides well-rounded coverage of both the historical and current state of affairs in the hospitality and tourism field. Browse focused studies of specialized aspects of the industry: culture, leisure activities, economy, and more. Funds provided by the Massachusetts Board of Library Commissioners. Mango is a fun language learning program teaching practical conversation and cultural awareness for the world’s most popular languages including English. While residents need to type in their library card numbers to use this database away from the library, users can also create online accounts to bookmark their places. Find your ancestors with this online repository of more than 200 million searchable names covering New England, New York, and beyond. Funds provided by the Nevins Library. This is perfect for anyone doing genealogy research. Users can access birth records, death records, historical newspaper articles, and photos. There is also federal census information up to and including 1930. This database provides access to federal census records up to and including 1930, Revolutionary War records, the Freedman’s Bank, and articles related to genealogy. Nevins Library is pleased to announce that Methuen High School’s Yearbooks, spanning 1928 through the present, can be accessed online. These yearbooks were digitized in partnership with the Boston Public Library and the Digital Commonwealth with the help of Methuen High’s Assistant Principal Arthur Nicholson, Media Specialist Paula Cross, and Nevins Library Reference Librarian Beth Safford. Academic OneFile provides access to full-text articles from peer-reviewed English language journals from around the globe. Academic OneFile covers the physical sciences, technology, medicine, social sciences, the arts, theology, literature, and countless other subjects. Users can search both full text articles and abstracts. Text based articles from The Boston Globe from 1980 – present. This database does not contain classifieds, advertisements, or paid death notices. Expanded Academic ASAP provides indexes of over 4,170 scholarly and general interest periodicals and full text articles from over 2,480 of the academic titles. General OneFile is a one-stop source for news and periodical articles on a wide range of topics, including business, computers, current events, economics, education, environmental issues, health care, hobbies, humanities, law, literature and art, politics, science, social sciences, sports, technology, and more. Global Issues in Context offers international viewpoints on a broad spectrum of global issues, topics, and current events. Provides access to more than 2,300 major U.S. regional, national, and local newspapers, as well as leading titles from around the world. It also includes thousands of images, radio, and TV broadcasts and transcripts. Funds provided by the Massachusetts Board of Library Commissioners. Search full-text facsimiles of The New York Times from 1985 on. Does not contain images or any classified notices. Power Search allows users to search multiple databases from one source. The databases included are most of the titles paid for with funds provided by the Massachusetts Board of Library Commissioners. Full-text resources including consumer health, nursing & allied health. Provided by the Massachusetts Board of Library Commissioners. Access carefully compiled and trusted medical reference materials, including: nearly 400 health/ medical journals, numerous reference volumes, over 700 health videos from partner Healthology, Inc., hundreds of pamphlets, and health-related articles from 2,200 general interest publications in addition to a broad collection of Gale reference titles. Material contained in this Resource Center is intended for informational purposes only. From the National Library of Medicine and the National Institutes of Health, this site contains an extensive amount of easy-to-understand health information. Browse the site’s collection of informative videos. Un servicio de la Biblioteca Nacional de Medicina y Institutos Nacionales de la Salud. Browse all aspects of the Nursing profession, from direct patient care to health care administration. Including nearly 400 titles, this collection’s current and authoritative content will be of use to both professionals already working in the field as well as students pursuing a nursing-focused curriculum. This collection includes over 100 titles covering the fields of physical therapy and sports medicine. Researchers can access periodicals on topics discussed in the field, including proven treatment techniques, experimental research theses, and much more. Psychology Collection provides access to academic journals and magazines that cover the study of emotions, personality, and the human mind. The database offers content of interest to both researchers and general users. Funds provided by the Massachusetts Board of Library Commissioners. Search for articles on health topics and medical research on this site, created by the National Library of Medicine and the National Institutes of Health. Salem Health brings online access to Salem Press’ award-winning health reference works. Browse Magill’s Medical Guide, Salem Health: Cancer, Salem Health: Psychology & Mental Health, Salem Health: Genetics & Inherited Diseases. Funds provided by the Nevins Library. 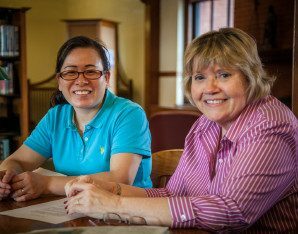 The Diversity Studies Collection consists of journals that explore cultural differences, contributions and influences in the global community. Funds provided by the Massachusetts Board of Library Commissioners. Providing robust coverage in the field of environmental issues and policy, this collection includes perspectives from the scientific community, governmental policy makers, as well as corporate interests. Peruse nearly 200 journals with instant access to multiple viewpoints of this volatile field of study. World History in Context is an engaging online experience for those seeking contextual information on hundreds of the most significant people, events and topics in World History. Communications and Mass Media Collection provides access to academic journals and magazines focusing on all aspects of the communications field. Key subjects covered in the database include advertising, public relations, literature, writing, linguistics, and more. Funds provided by the Massachusetts Board of Library Commissioners. This database is a diverse resource for Art and Music studies. It provides access to scholarly journals and magazines that support research in areas including drama, music, art history, and filmmaking. Funds provided by the Massachusetts Board of Library Commissioners. The Criminal Justice Collection database focuses on all aspects of the criminal justice field. Publications include: American Criminal Law Review; Corrections Today; Criminal Justice; Criminal Justice Ethics; Forensic Examiner; Psychology Today; and more. BookFlix is an online literacy resource that pairs fiction to nonfiction sources to create real world concepts for young readers. Funds provided by the Nevins Library. The world’s most current, comprehensive, and reliable online literature resource. Uniquely relevant to today’s curriculum, Literature Resource Center’s rich, critical, biographical, and contextual materials support interdisciplinary approaches, information literacy, and the development of critical thinking skills. Funds provided by the Massachusetts Board of Library Commissioners. NoveList Plus is a readers’ advisory resource that assists fiction and nonfiction readers discover new authors and titles. Users of all ages can easily find recommendations in this database by simply entering a favorite author or book title. NoveList’s discussion guides are perfect for both book clubs and classrooms. Download thousands of copyright free eBooks to your Kindle, Nook, IPad, Android, personal computer, or other device. There are several familiar titles including: Les Misérables, The Wonderful Wizard of Oz, and The Adventures of Huckleberry Finn. Be sure to read the directions for downloading. The site also hosts a small collection of audiobooks. The Nevins Memorial Library is offering free downloadable music from Freegal. Access hundreds of thousands of songs from Sony® Music’s catalog in over 100 genres. Download and enjoy five per week. Text-based articles from The Boston Globe from 1980 to the present. This database does not contain classifieds, advertisements, or paid death notices. Flipster is a platform that provides copies of eMagazines to a variety of devices including Apple and Android tablets, desktop computers, and even smart phones. It’s easy to download the app onto your device. Then, use the app to browse through the variety of magazines available, and access the content using your library card. Funds provided by the Nevins Library. InfoTrac Student Edition is designed for junior high and middle school students. It provides access to a variety of magazines, newspapers and reference books, and covers current events, the arts, sciences, popular culture, health, people, government, history, sports and more. Research in Context is a one-stop source for students in grades 6 to 8. Delivered through a highly visual design, navigation, and tool set, this site supports middle school coursework with content that includes: news and periodical articles on a wide range of topics: business, computers, current events, economics, education, environmental issues, health care, hobbies, humanities, law, literature and art, politics, science, social sciences, sports, technology, and more. Online collection of over 3,000 computer and technical ebooks, covering programming, design, desktop publishing, e-commerce, online business, hardware and more, from publishers such as O’Reilly, Wiley, Pretence Hall, and many more. Funds provided by the MVLC. Science in Context provides topic overviews, experiments, biographies, pictures, and illustrations. As well users can locate articles from over 200 magazines, academic journals, and links to quality web sites. The database covers curriculum-related science topics, and offers teachers an easy-to-use tool to identify content directly correlated to state and national standards. AtoZdatabases es la referencia de primer nivel, investigación, Marketing, ventas de correo listas / ventas, y la búsqueda de empleo de base datos. Ideal para las oportunidades de ventas, listas de correo, estudios de mercado, oportunidades de empleo, la búsqueda de amigos, parientes y un montón de otras posibilidades. Funds provided by the Nevins Library.